People have many reasons for smoking MMJ. 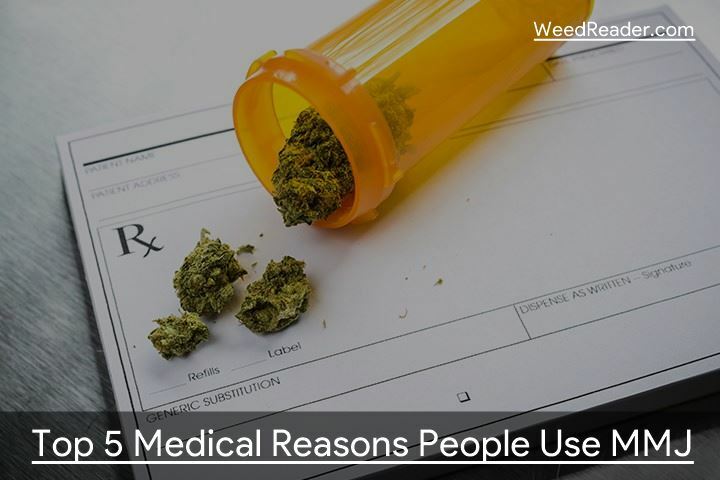 Ask 5 stoners why they smoke MMJ and you will likely get 5 reasons. There are a lot of factors in life that dictate our actions and few are predictable or unilateral. After all, it’s hard to be an astronaut in the 1600’s or if you happen to be a felon. Not so much if you are in 1970’s Ohio though. But that shouldn’t stop us from trying to understand why people consume marijuana. It doesn’t matter if you consume flower, concentrates, edibles or use MMJ topically. If you use marijuana medically, this list probably has you on it. Just remember that this list is in no specific order. If you disagree with the order or think something else should have been on it, call me out in the comments. Let everyone know what I missed and why it belongs there. Approximately 39.6% of all men and women are diagnosed with cancer in their lifetimes. While many remain benign, a vast majority grow rapidly and resist treatment. Some cancers can kill in a matter of months while others take decades to metastasize. Research shows that MMJ helps treat certain types of cancer. There is still a long way to go but cannabinoids like THC, CBD and CBN show great promise. Especially in cancers like: breast, brain, liver, melanoma, and leukemia. Epilepsy is a condition where your brain misfires and causes a seizure. But unlike popular perception, it doesn’t just come from flashing lights. Seizures may even come on unprovoked, as though out of nowhere and for no reason. There is no cure for epilepsy and it can affect anyone, even children. There are few options on the market that are truly safe for children. But CBD is one of the few natural alternatives to prescription medications that works. With 65 million people suffering from epilepsy worldwide, cannabis has a lot of work to do. Life is tough and can leave you in constant pain for many reasons. More than 1.5 billion people suffer from chronic pain worldwide with 50 million of them living in the united states. Healing can take a long time and many common pain killers come with risks of dependency or overdose. Marijuana isn’t chemically addictive like oxycodone or dangerous in large quantities like aspirin. So as patients heal, they can reduce or eliminate using with no long term side effects. As a bonus, we still have zero confirmed deaths exclusively from consuming too much weed. Some people need help getting through a situation. Others need help just chilling out in general. This includes those suffering from OCD, panic disorder, phobias, bipolar disorder and many other variants. For the 18% of the U.S. population suffering from anxiety disorders, medication makes life manageable. But not everyone wants to use Xanax to get the job done. Unlike cigarettes or e-juice, cannabis vapor doesn’t harm lungs or cause cancer. About 350 million people have depression. Many prescriptions to treat it come with dangerous side effects or are unsafe for children. While THC may be controversial for teens to have, CBD offers many of the same benefits without the cognitive impairment. Despite this, the federal status of marijuana keeps it from being prescribed in many cases. As a Schedule 1 Drug, it is legally considered to have no medical value. Many doctors simply refuse to prescribe MMJ for religious reasons or because of corporate policies. But increasing acceptance and legal reform are lowering that number.